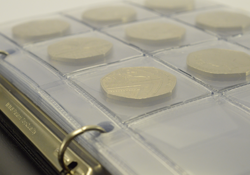 Albums for coins, coin capsules, coin holders, postcards, sports cards, banknotes, bills and beer caps. 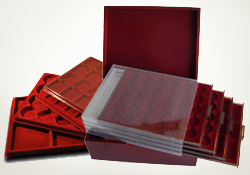 A wide range of trays with different types and quantity of compartments. Also available chests and coin boxes. Bilateral frames and wall frames made of wood for trays. Stands for coins, cards, postcards, medals. 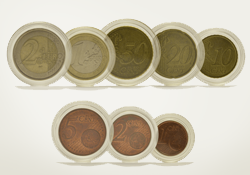 We offer, more than 65 different sizes of coin capsules from 13.9mm to 65mm internal diameter, with rim or without. It is now much easier to show your collection. 3D Visio Soft Frame will show all kinds of objects with 3D-effect. 3D Visio Soft Frame for models, bubbles, decorations, whistles, lighters, coins, stamps, pens, watches, knives, a photo, the Lego, jewelry, gems and minerals, thimbles, medals, and more. 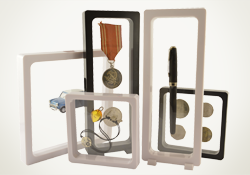 3D Visio Frame will help you to show your collectibles in an unprecedented way. 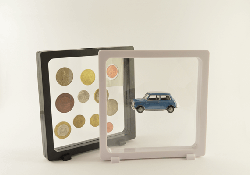 Whether it's minerals, fossils, coins, watches, jewelry, pens - frame 3D Visio Frame perfect view presentation. 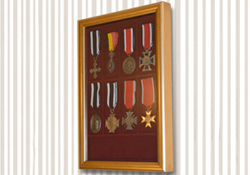 Even bulky items such as figurines or cups can be easily placed in the frame. Objects are inserted between two transparent silicone membrane. Frames can be easily moved, allowing objects to consider both the front and back side. Frames are available in black and white. 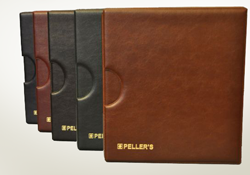 Binder albums allows to use different type and quantity of pages, depending on personal preferences. 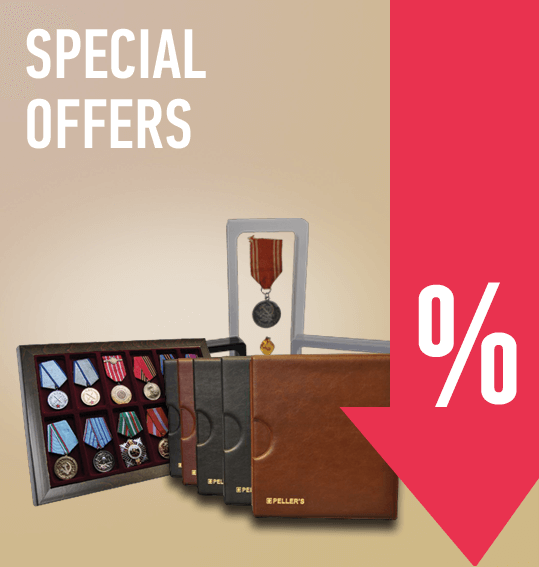 Collect all the trays, folded in a chest, and do not worry about the safety of your collection. Compact, convenient and attractive. Frames made of natural wood, coated with varnish and anti-reflective glass can be used with any tray. 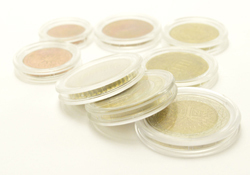 We offer a complete accessory kit for the series and sets of coins. 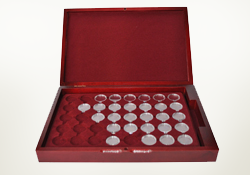 For the series available: trays, albums, set of capsules and boxes.